December 30, 2015  NPR Music remembers musicians — singers, songwriters, instrumentalists — and other visionaries we lost in 2015. Explore and celebrate their musical legacies. June 11, 2015  The American jazz saxophonist and composer who liberated jazz from conventional harmony, tonality, structure and expectation, died Thursday of cardiac arrest in Manhattan at age 85. June 12, 2015  Coleman died Thursday, at the age of 85. Listen back to a 1987 conversation with the saxophonist and composer, as well as interviews with members of his quartet, Don Cherry and Charlie Haden. March 1, 2010  When Coleman's imprint of fire-brazed melodicism strikes you, you may very well have his tunes stuck in your head all night long. 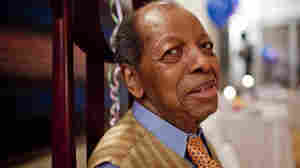 May 27, 2015  The son of the titanic 85-year-old jazz saxophonist and composer says two much younger musicians had no right to release a recording with Ornette Coleman. 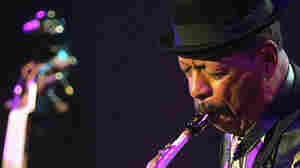 September 24, 2007  As the master of free jazz, Ornette Coleman's career spans more than five decades. Over that time, he has created a musical world of his own. He talks to Farai Chideya about his unique perspective on the beauty of sound. 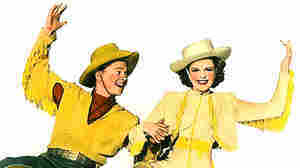 May 30, 2007  This week's staff song pick comes from News & Notes producer Roy Hurst. 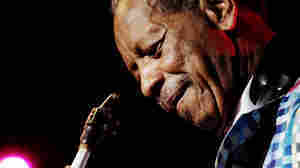 His choice is Ornette Coleman's "Only Once," a piece Hurst describes as an emotional and challenging composition. 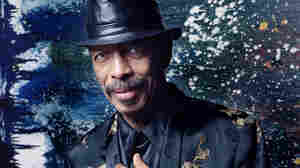 April 16, 2007  Ornette Coleman, 77, has won the 2007 Pulitzer Prize for music. As a musician, he has erased as many borders as he has crossed. Whether he's writing symphonic works, chamber music, or playing alto saxophone, trumpet or violin, Coleman continues to surprise audiences. December 14, 2006  Musician David Was says the Texas tenor sax player Ornette Coleman is sort of the Samuel Beckett of jazz — misunderstood, maligned and, after almost five decades since his debut, still making news. A new Coleman CD collection has been released called To Whom Who Keeps a Record. November 17, 2006  Jazz critic Kevin Whitehead reviews Sound Grammar, the latest album from saxophonist Ornette Coleman. November 13, 2006  It's not easy living on the avant-garde edge of any art, let alone the always-changing world of jazz. But for nearly 50 years, the sound of Ornette Coleman has proven to be one of the most unorthodox — and most influential — in modern jazz. August 23, 2005  Jazz critic Kevin Whitehead reviews Song X: Twentieth Anniversary, a reissue and remix of a 1985 collaboration between guitarist Pat Metheny and saxophonist Ornette Coleman. March 31, 2004  NPR's Tavis Smiley talks with composer and saxophonist Joshua Redman, artistic director of the San Francisco Jazz Collective. Redman has chosen to highlight the work of "free jazz" pioneer Ornette Coleman for the Collective's inaugural season. He's recruited highly respected musicians for the venture: Bobby Hutcherson, Nicholas Payton, Miguel Zenon, Josh Roseman, Renee Rosnes, Robert Hurst and Brian Blade are all tapped to participate. March 12, 2004  NPR's Robert Siegel talks with violinist Jennifer Koh about her new CD Violin Fantasies, a concept album on which she plays four fantasies by Schubert, Schumann, Schoenberg, and Ornette Coleman. 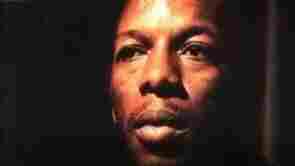 March 5, 2002  Jazz critic Kevin Whitehead reviews Ornette Coleman Trio at the Golden Circle, Vols. 1 and 2 (Blue Note). February 9, 2011  When George Gershwin wrote "I Got Rhythm" for the 1930s musical Girl Crazy, he created one of the most catchy melodies in American history. But little did he know that his lovable song — apart from becoming a hugely popular jazz standard — would evolve into something far greater. 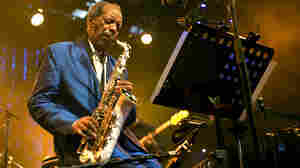 August 1, 2001  Saxophonist Ornette Coleman burst on the jazz scene in the 1950s with a new kind of music called "free jazz," which he called "harmodolics." He and his band broke away from traditional melodic conventions, creating controversy and revolutionizing the jazz art form. This album catches him and his group at its peak. 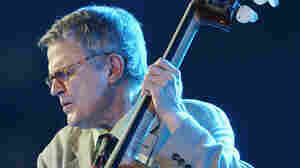 August 4, 2009  Some people are said to "follow a path" in their creative life, but a path is not enough for bassist Charlie Haden. For more than 50 years, he's been building his own musical freeway. To follow him down that freeway is one of the richest experiences in American music. It's Haden's birthday this week, so here's a chance to celebrate with five of his best songs.